Project managers usually act “ad interim”. They need to integrate and control diverse functional areas, processes, stakeholders and environmental factors. Thanks to our comprehensive overview of standards, methods, tools and techniques for professional project management we are always looking for the best and most pragmatic solution – either out of the box of traditional project management (PMI®, Prince2®, GPM®/IPMA®, DIN/ISO), by agile frameworks (Scrum®, XP, Design Thinking, Lean Management), by the countless tool providers – or by using and developing existing in-house tools. As a provider of home-made solutions we know how to manage development, implementation and maintenance of products and services in form of projects. Especially for IT divisions, software developing companies and IT consulting agencies we offer our advice in strategic and operative questions and projects. Read project management book >> Train one employee and promote him to be the project leader >> Buy and install project software >> Get started! This shirt-sleeved approach might work in small projects. By the time, when it becomes a matter of money or image and many stakeholders and dependencies have to be considered, it will get extremely risky! The higher the level of individuality, complexity and diversity of your business the more difficult it will be using standard project management methods and tools “off-the-shelf”. We will not make project management more complex than it should be and we always recommend tools that are easy to implement, learn and use. We have no commitment with any company, product or method so we can work out jointly solutions which fit best to you, your organization and your staff. Do not save at the wrong end! To manufacture your products and services you usually apply the best methods, resources and tools – that should also include professional project management. Every consulting order will be treated by us as a project. 7. Think free and positive! In our	Consulting offers you will find examples how we develop solutions in cooperation with our clients. 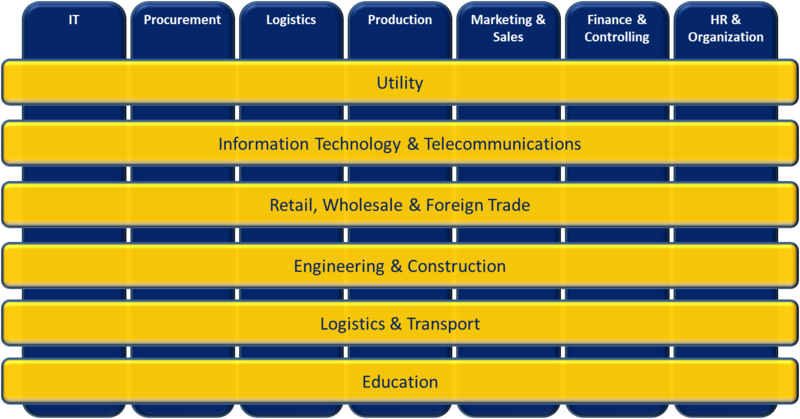 Qualification, communication and networking are the key factors of successful project management. We are an active member of Project Management Institute Inc. (PMI), the worldwide leading professional association in project management. 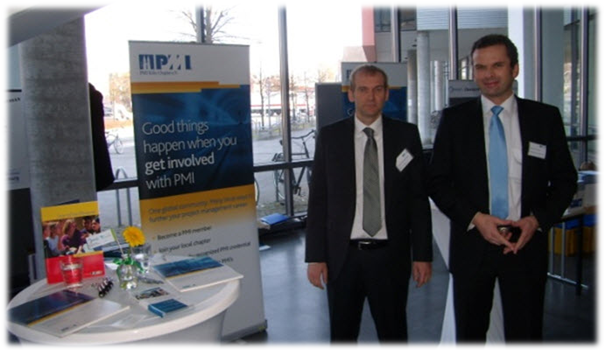 As a member of PMI Cologne Chapter e.V. Herbert Biehler founded the Local Group Weser-Ems and regularly organizes a regional forum for project experts and interested people. We are a member of Scrum Alliance® and permanently keep ourselves fit in new developments and trends of agile Scrum world. Since 2010, we have been awarded the honorary appointment as a member of the audit committee for IT project managers by the Oldenburg Chamber of Commerce. In our network of experts we practice a trustful ‘give and take’ and support each other. This enables us to accept high value contracts and to offer special know-how. We offer start-ups a first place in our office, as well as collegial advice and exchange about new business ideas. PMI is a registered trademark of Project Management Institute Inc.